A scaffolding firm and its director have been fined after an employee fell more than 20ft to the ground. Luton Magistrates’ Court heard that on 24 February 2016, the 20-year old employee of St. Albans Scaffolding Limited was working with colleagues to erect a scaffold at a house on Cunningham Avenue, St Albans when he lost all points of contact whilst climbing a 25ft (7.6m) ladder carrying a 16ft (4.8m) scaffold pole weighing about 20kg. He fell approximately 20ft (5.7m) to the ground. The worker suffered multiple fractures to his right leg and ankle and needed surgery. 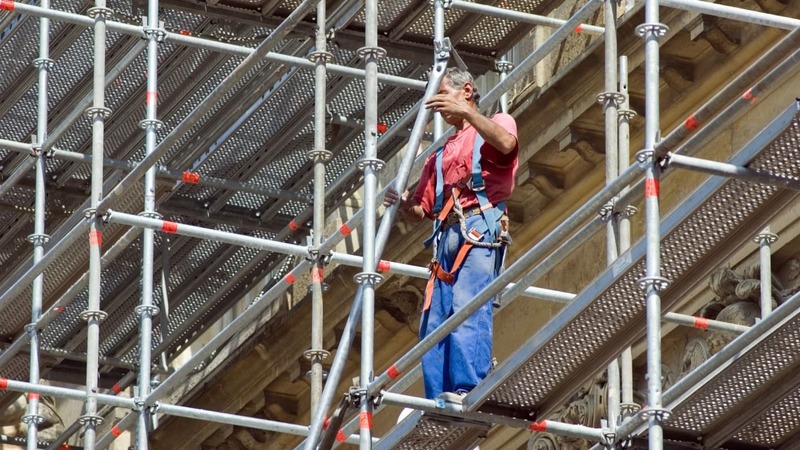 The HSE’s investigation found that both the company and director failed to ensure the scaffolding labourer was trained to the required competence to install scaffolding components. It was also found the worker had not been adequately supervised and was working alone on the Temporary Roof Scaffold. The Construction Industry Scaffolders Record Scheme (CISRS) has been the industry recognised scaffold training scheme for more than 40 years. The director knew the workers had not been trained but allowed work to continue unsupervised in his absence. St. Albans Scaffolding Limited of Wellington House, London Colney, St. Albans pleaded guilty to breaching Regulation 4 (1) of the Work at Height Regulations 2005. The company was fined £5,500 and ordered to pay costs of £442. Simon Christopher Bruce of Wellington House, London Colney, St. Albans also pleaded guilty to breaching Section 37 (1) of the Health and Safety at Work Act 1974. He was fined £915 and ordered to pay costs of £443. Speaking after the hearing HSE inspector Rauf Ahmed said: “The employee in this case is extremely lucky to have not suffered more severe and life threatening injuries. “The director knew the workers had not received the appropriate training in order to carry out the safe installation of the scaffolding and he put him at risk of harm by allowing unsupervised work to continue.